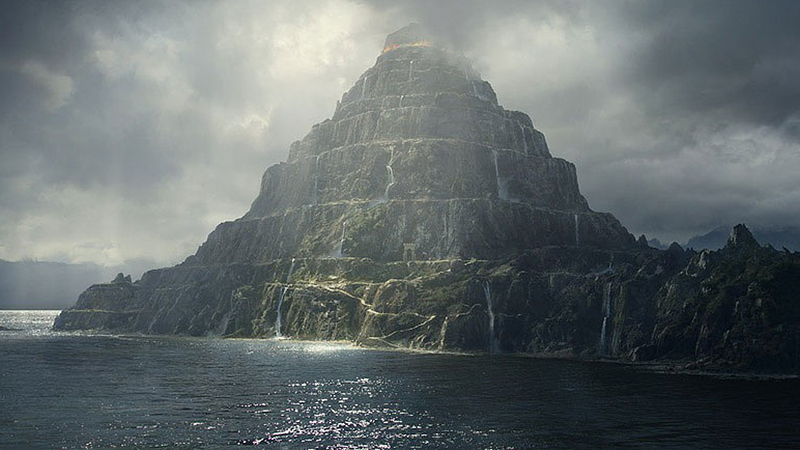 Mount Purgatory, as envisioned in Dante’s Inferno. Unless a member of the reading public is sequestered as a juror of the “El Chapo” trial, watching the daily news reports regarding the stalemate in Washington and the ongoing battle over “The Wall” or “The Barrier” or whatever President Trump is currently calling it is purely purgatorial in the most modern way. One can only hope that a federal budget funding the salaries of the people who inspect jet engines, guide aircraft into airports, inspect the nation’s food supply, keep passenger firearms off airplanes at airport security (oops! failed that one already), and keep watch over the national energy grid and our nuclear power plants will be achieved before we reach the super adult version of “it’s all fun and games until someone loses an eye,” and that the lovely people responsible for this crisis make resolution out of guilt and remorse rather than pragmatism and conscience. Man, that’s a long sentence! The shutdown placed newly appointed members of the STB on furlough for quite a while (two are finally on duty) and affected the businesses of people in associated industries. As soon as Congress approved enough STB members to make a quorum, the shutdown began. 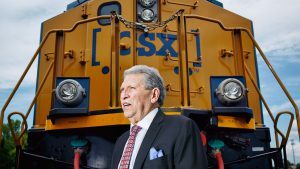 Certainly, this has put a significant damper on the STB’s progress investigating increases in surcharges imposed by Class I railroads for customer delays in timely equipment unloading. In industry parlance, demurrage is a payment due from a shipper for delinquency in returning a railcar to the railroad. 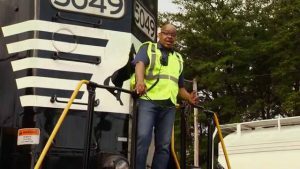 It’s a mixture of gentle pressure and an economic last straw applied to a customer by the servicing railroad requiring a car be unloaded and returned to the railroad. As a result of Precision Scheduled Railroading (PSR), fewer railcars on line means that there is more need to have a railcar unloaded quickly to keep it in service. At issue is the implementation of additional charges to shippers for railcar return delays, while there seems to be no concomitant charge to the railroad for loaded delivery tardiness. Perhaps some charitable soul can offer to buy dinner at the local McDonald’s or Wendy’s Cluck-U Chicken (or Bobby’s Burger Palace, if you want upscale fast food) as a peace offering to resolve this matter during these critical times—sterling silver Presidentially embossed serving ware not required. 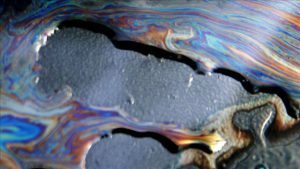 In addition to handling rate- and service-related disputes, the STB also manages the filing of liens for all water vessels (non-ocean-going), railcars and locomotives. For those not involved in owning and leasing railcars and locomotives, other than the reporting mark and number used in disposition, transportation, reparation and billing associated with it, the equipment does not have a unique identifier. In other words, there is no way to tell (and no system that records) who owns which railcars and locomotives running in the North American railroad network. Each railcar and locomotive reporting mark and number is fed into the Universal Machine Language Equipment Registry (UMLER), but UMLER, maintained by the good folks at Railinc, is a user-operated system, and Railinc is not responsible for insuring that every piece of data entered into the system is 100% accurate. Although UMLER maintains an owner field, the data capable of being included in that field is limited to companies that own a reporting mark. Many financial investors (banks and insurance companies) do not own a reporting mark. When railcars are purchased or sold, leased or financed, parties involved in the transaction turn to the STB to confirm not ownership, but whether there is an existing lien on a particular railcar or locomotive at the STB. 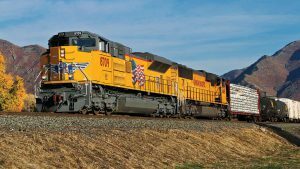 Unlike other types of equipment where liens are perfected using UCC Financing Statements filed in appropriate jurisdictions, liens on railcars and locomotives are perfected at the STB. In a financing, lenders file liens against railcars at the STB; lessors file a memorandum of lease to show that they own a railcar and are leasing it to a lessee; buyers look to the STB to confirm that no other party has filed a document claiming a lien on a railcar they are looking to purchase. A nonscientific annual estimate of the rail equipment transaction (new and used) market is about $7.5 billion per year. In January 2018, 136 rail-equipment-related filings were completed at the STB. These filings covered thousands of pieces of equipment. Being unable to search for existing liens is a critical fault in most rail equipment transactions. Add in the inability to file a lien properly, and it is likely that railcar and locomotive sales are for the most part at an unsustainable standstill right now. Unfiled liens are not going to cause human catastrophes, but the extended shutdown impacted a fragile economy already teetering toward recession. Watching the President and Congress fighting for control of the bully pulpit while 800,000 federal workers languished without pay was embarrassing and painful. And it may repeat. 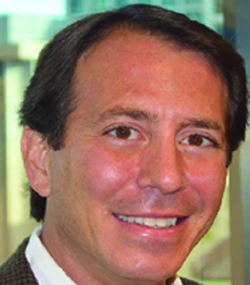 Financial Editor David Nahass is an authority on all areas of railroad equipment finance and leasing. Nahass writes our monthly Financial Edge column and produces our annual Railroad Financial Desk Book and Guide to Equipment Leasing. He is President of Railroad Financial Corp., a financial advisory firm. He also serves as Chairman of Rail Equipment Finance, an annual industry conference addressing critical developments concerning North America’s railcar and locomotive fleet.